SLC + 108. Wendover. — On the Union Pacific, 6 miles south of the course. Opposite the Conley Hotel and the Union Pacific station there is a landing field L-shaped, 1,200 feet long each way and 600 feet wide, a good emergency field. Four miles west of Wendover the Union Pacific Railroad turns to the north and east and is crossed 8 miles west of Wendover. The railroad continues northwestward and reaches a northern point 11 miles from the course. The railroad curves and runs southeast, where it crosses the Nevada Northern, running north-south at Shafter. SLC + 130. Shafter. 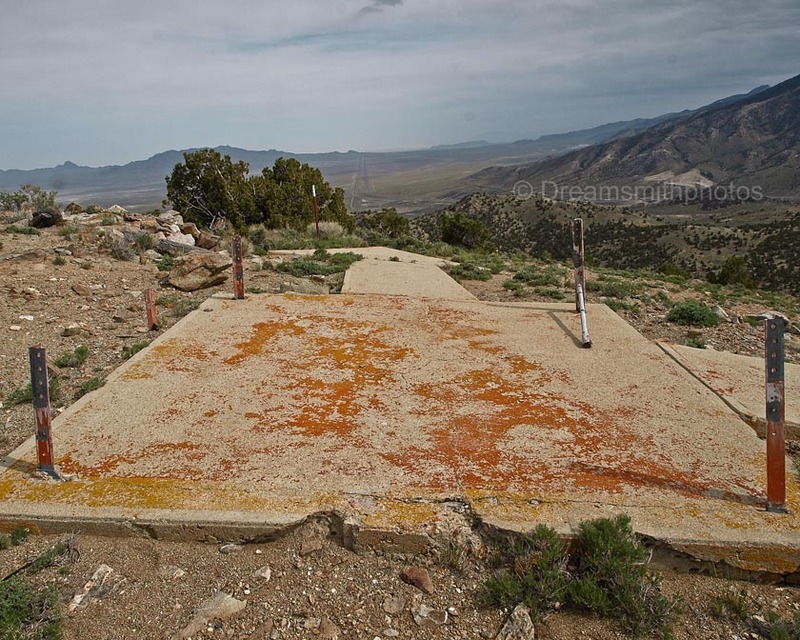 — At the junction of the Nevada Northern and Western Pacific Railroads. Opposite the Western Pacific station at Shafter there is a stretch of ground 1,200 feet wide and unlimited in extent the long way, that may be used for emergency landings. There is a scattering of sagebrush on this field. Of all the arrows we visited, this was our favorite. Just to reach the base of the path to the arrow, we had to drive approximately five miles on a dirt/gravel road, part of which was ‘washboard’. The last ½ mile we had to use 4-wheel drive, due to the road being uphill on loose shale. The hike up the hill itself must be done slowly and with caution due to the loose shale. 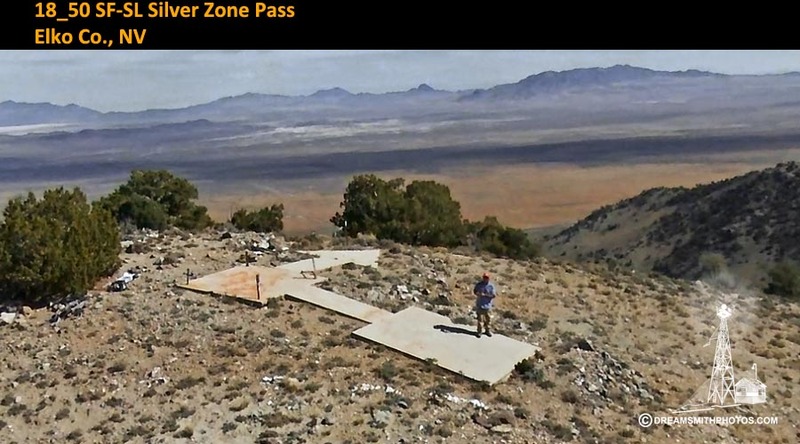 Silver Zone Pass is completely intact 90° arrow. The view from the top of the mountain was incredible, as the air was completely clean. I could see for miles. It was late afternoon when I reached it, which just enhanced the colors and shadows. In the very far distance I could barely make out I-80. The first two parts of the arrow (five-part arrow) were located on an uphill slope. The middle portion of the arrow (where the beacon stood) was on level ground, while the next two portions (the arrow itself) were on a downhill slope. A small portion of each of the beacon tower legs still remain imbedded in the arrow. The pilot would approach the tail of the arrow on a compass heading of 70° (E-NE), and then exit the arrow on a compass heading of 160° (S-SE). 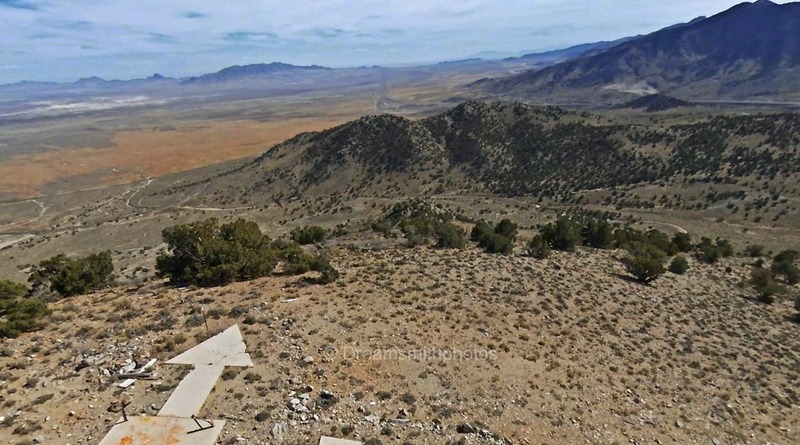 Described by coast and geodetic survey 1940 (JCS) station is located about 20 miles, airline, NW of Wendover, 11.4 miles se of oasis, 1.5 miles ne of U.S. Highway 40, on the highest point of a steep, comparatively low hill, on the Toano range of mountains. The hill appears as a prominent knob from the easterly or westerly directions, although it sets in the saddle of the range. The saddle is known as Silver Zone Summit. The beacon is a standard, red-and-white, striped, rotating airway beacon about 75 feet in height, with a concrete arrow at its base, which indicates a right-angle turn in the air lane by right-angle crook in the shank of the arrow. The supply-and-control house along with a dwelling and accompanying sheds, are 600 feet SW, at the foot of the hill the beacon is on. 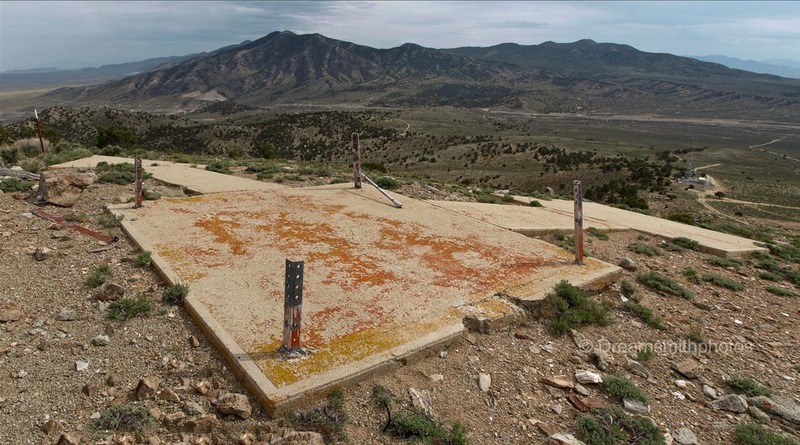 Station is located 1.5 miles NE of U.S. highway 40 at Silver Zone Summit, 18 miles NW of Wendover. In the new triangulation, the station was intersected from zone, Sil and Tap.